I’ve always had a really strong affinity for the Mars rovers, I think possibly because their mast cameras make them look like Wall-E and I sort of want to hug them. It’s not weird, don’t make it weird. But seriously they are probably somewhat overly anthropomorphized in my brain but they do cool science SO IT’S OKAY. So anyway I love to periodically check in and see how the little guys are doing. Probably most of you know about Curiosity, the most recent rover to arrive on Martian soil – it’s about the size of a Mini Cooper and it’s packed with all sorts of equipment to study the soil and rocks, specifically for the purpose of learning more about what Mars might have been like before it’s atmosphere peaced out and all the water left. Yes – if you didn’t know – NASA has discovered lots of evidence for a history of liquid water on the pretty red planet. 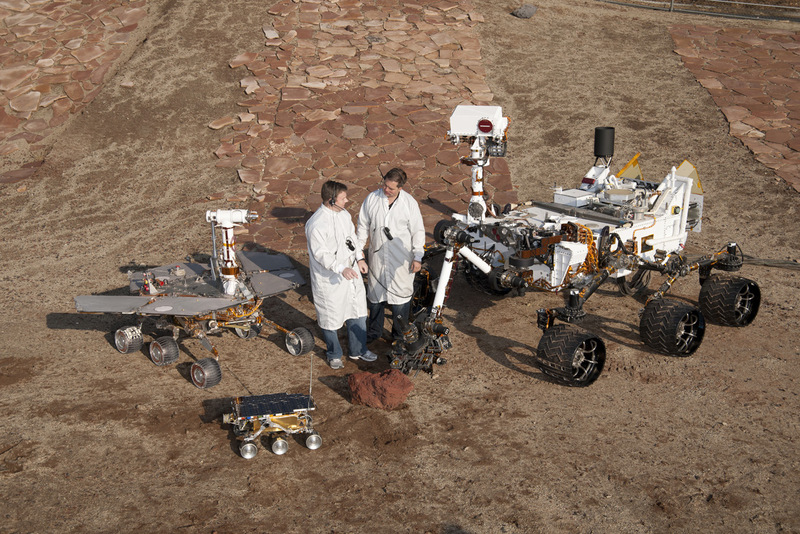 But as cool as Curiosity rover is (so cool I will make a whole post about it soon) – it’s still a rookie in rover terms. The real heroes in my opinion are Spirit and Opportunity – the ones we sent up there a decade ago. They were originally intended to work a 3-month mission and only drive the equivalent of a few football fields. That was it – NASA was like cool we will send you to another friggen planet but you just have to last 90 days and roll for like five seconds and the mission will be accomplished. So the rovers were like guuuurl please you think we are chumps? How about we go ahead and work for YEARS? And that’s what they did because they’re bosses. Spirit was able to last until 2010 – a full seven freaking years – until it eventually got stuck in a dune and stopped transmitting. (If you want to feel REALLY SAD you should read this xkcd comic about Spirit – tears for days lol). Opportunity rover on the other hand is still working and still doing badass science. It’s traveled 22 miles over the last decade, it was instrumental in discovering evidence of liquid water existing there, and it’s still taking pictures and sending them home to us. So anyway next time you’re hanging out looking up at the sky – just remember that human beings put together a bunch of metal and wires into adorable little rovers to serve as our science minions. Then we calculated what day/time/direction/speed we would need to launch them in order to land then seven months later within a stadium-sized patch of land on another planet – while both planets are spinning and orbiting. Then we strapped them to a rocket and said GOOD LUCK! The power of the human mind is incredible sometimes.